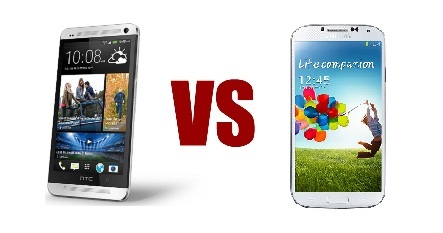 Browse: Home » HTC One versus Samsung Galaxy S4: Which Android Phone is Right for You? Almost four full months into the year, the Internet is already abuzz with talk about the best smartphone of 2013. In March, HTC released the One, its flagship successor to the similarly named One X. Despite the ambiguity of its naming conventions and its apparent obsession with el numero uno as per the new First (the first phone to feature Facebook Home), HTC seemingly intends to assault would-be customers with a marketing blitz in the same league as the one Samsung has engineered for its Galaxy line to convince everyone that the One is, well, the one you want. Manufacturing delays have prevented HTC from gaining an advantage early, however, and Samsung is gearing up to release its own flagship phone in the Galaxy S4. Undisputed king of market share among Android smartphones, last year’s S3 will receive a moderate refresh in terms of aesthetics and specifications to bring it into line with other devices available currently, the One included. But how exactly do these two phones stack up? Which one is better? More importantly, which one is better for you? For most users, the look, feel, and size of a phone is often an important consideration. Devices continue to grow in size to accommodate larger screens and can often be less comfortable than smaller devices. Design choices like materials and squared or rounded corners can also be a factor in terms of choosing a phone that just feels right in the hand. The slate-style HTC One takes of all of the aforementioned items into consideration: premium aluminum, rounded corners, and, perhaps one of the most touted features of its design, the dual, front-facing speakers. With the speakers, HTC has accomplished what few other manufacturers could, maintaining a unique visual appearance while simultaneously enhancing the sound quality. As a result, the One is one of the best looking and feeling phones available at the moment. In contrast, the Galaxy S4 is rather familiar in terms of its design. For its Galaxy SX series, Samsung is beginning to follow in the footsteps of rival manufacturer Apple by focusing on iterative changes and minor adjustments to improve an already popular design. Samsung has also opted to use better materials to address complaints that the S3 feels like as though it is comprised of cheap plastic. If you liked the look and feel of the S3, then you will more than likely enjoy that of the S4. But all things considered, the HTC One is probably the better choice design-wise. As I mentioned in my somewhat recent post concerning the Galaxy S4, the days where users see radical increases in hardware specifications for smartphones has come and gone; this is not to say that future devices will not boast improved screens, speeds, and storage, but at this point, most specs have begun to level off. That being said, the new arms race in smartphone technology is to see who can provide the best screen. In this case, both the One and the S4 feature high-definition, 1080p screens, though the One manages to squeeze in just a few more pixels per inch (468 to the S4’s 441*). Otherwise, the processor speeds and RAM totals figure about the same. The batteries seem comparable too, but the big difference here is embedded versus removable. With the One, HTC has continued its trend of embedding the battery in the phone such that it cannot be removed for replacement during daily use. Samsung, on the other hand, knows its audience and continues to offer removable batteries to appease power users who need more than one battery to make it through the day. The disturbing trend of smaller, embedded batteries combined with power-hungry screens is a head-scratcher in this day and age when people use their phones more than ever as mobile computing devices more than as actual phones, but sometimes sacrifices need to be made in the name of design. In any case, I think the S4 has the edge here. For full specifications, see the HTC One product page and my last post for the details on the Samsung Galaxy S4. *Note: I am still basing my comparison on the list of specs provided by Android Police that I referenced in my last post. To my knowledge, Samsung has yet to release official specs, and it certainly does not have them listed in an obvious or prominent location on its page for the S4. 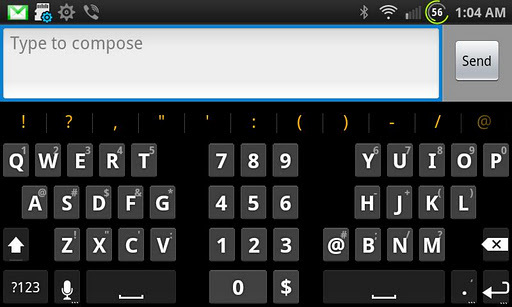 At the end of the day, the aspect of smartphones to which users pay the most attention is the feature set. Both devices in question have a robust set of cool capabilities, but each one seems to focus on a different target audience. The HTC One has a number of features that aim to enhance the more basic functions of the phone. HTC Zoe seeks to build upon the standard picture and video capabilities of the One’s camera by capturing a flurry of shots while simultaneously capturing a few seconds of video. The camera software is supposedly integrated tightly with popular social networking services so that you can post the photos and videos with ease. And in conjunction with the aforementioned speakers, HTC BoomSound utilizes built-in amps to create a better, louder, fuller sound when listening to music or other audio. Samsung has gone in a different direction, seeking to create something of a novel experience when one uses the Galaxy S4. 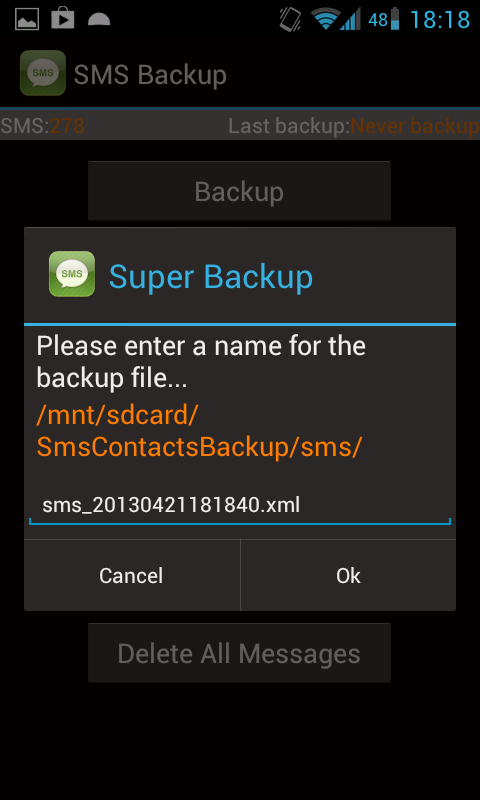 What will likely be seen as one of the coolest features is the user’s ability to merely wave his hand over the S4 to initiate functions like accepting calls, changing music, or browsing photos. With such features, Samsung is definitely setting its sights on the “Hey, check out what my phone can do!” segment of the population. Of course, neither approach is wrong; both HTC and Samsung seem to have different ideas about what appeals to users. Ultimately though I believe the S4 is packed with an abundance of software modifications that will probably put most other devices to shame. Truly the process of selecting a phone is different for everyone. Some people care more about design, some about specs, and some about features. For these phones, each manufacturer has its audience in mind. The question is: to which audience do belong? For me, the One is the pick. I would likely load up some custom software on my phone regardless, thereby negating all of the real benefits of choosing the S4. Though the embedded battery is a knock against it, the One is such a handsome phone that I believe HTC knew what it was doing while planning the device a few years ago when it decided to eschew removable batteries for strong, quality design. But for you, who knows? The S4 is still a reasonable choice. You can hardly go wrong with any Android device you choose these days. Now is a good time to be in the market for a phone. Manufacturers offer consumers a plethora of choices. In the end, it is all about preference. While the HTC One is already available, the Samsung Galaxy S4 will be widely available in the next week or so. In the meantime, if you intend to pick one of these two heavyweights up, let us know in the comments. Until next time, if you have any other categories you would like us to tackle, any apps you would like us to review, or any lessons about Android you would like to learn, please let us know those in the comments too. Thank you for reading!